My first meal in Japan was one of my best. After hours of research in Australia, I finally settled on Sushi Zanmai in the Tsukiji Fish Market as the place to try Otoro. 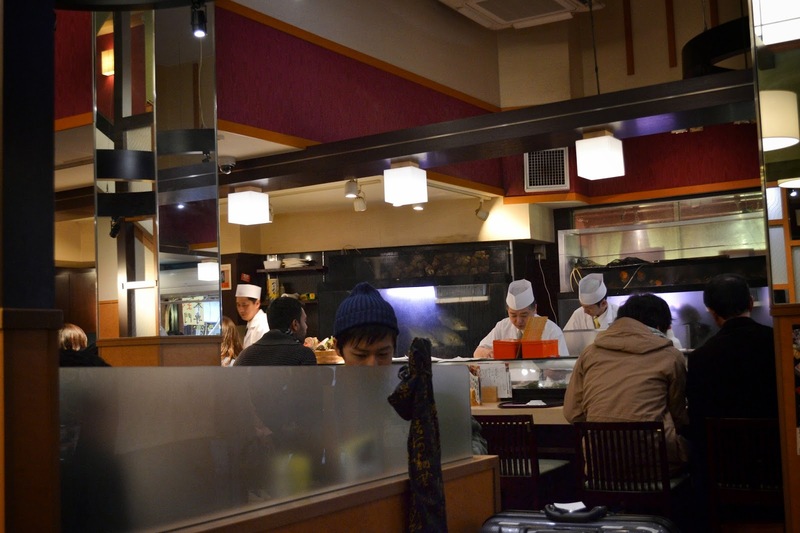 Although there are more famous restaurants like Daiwa and Sushi Dai, the ridiculous waiting times of 2+ hours were too long for me. Sushi Zanmai still had a line but the wait was around 20 minutes. 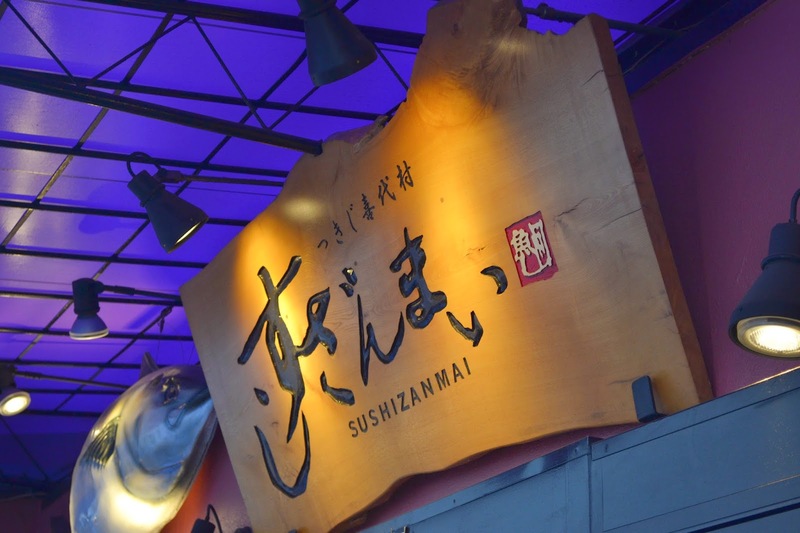 They carry an extensive menu of all kinds of Sushi and Sashimi for a very reasonable price. If you can opt for a seat at the counter, which T and I did. 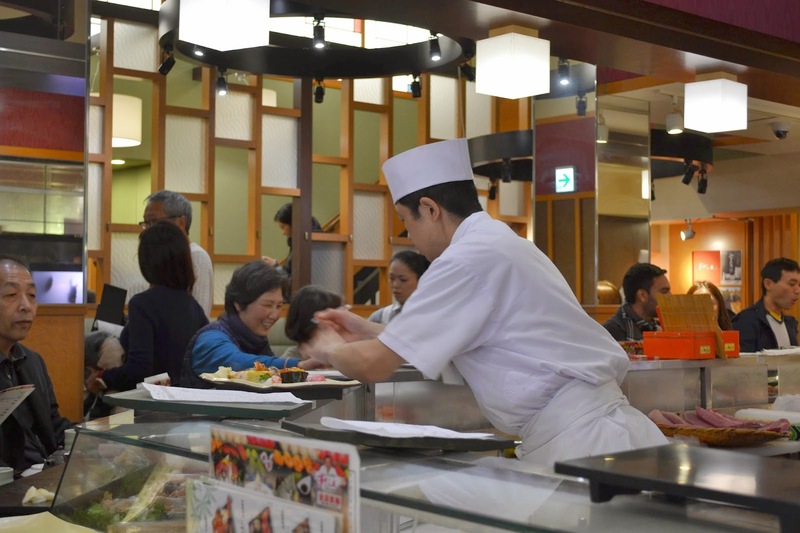 From the counter, you’re able to watch the sushi chef work his magic, his quick hands forming little works of edible art. 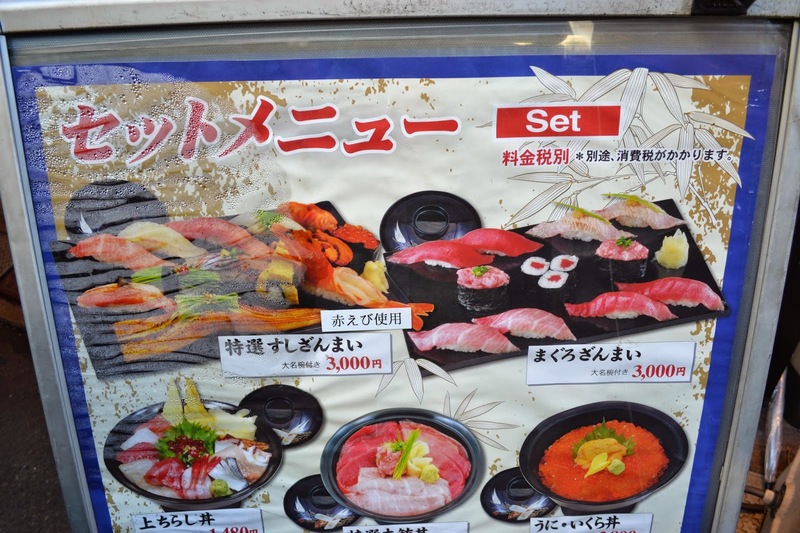 After a quick look over the menu I settled on the Tuna Special (¥1,180), which had 5 pieces of sushi with varying types of tuna, and a Kaisen Don (¥1,480), which is rice topped with a variety of fresh fish and seafood. Like in most Japanese restaurants, there’s free delicious green tea! After a brief wait, the sushi presented to me an incredible plate of sushi. 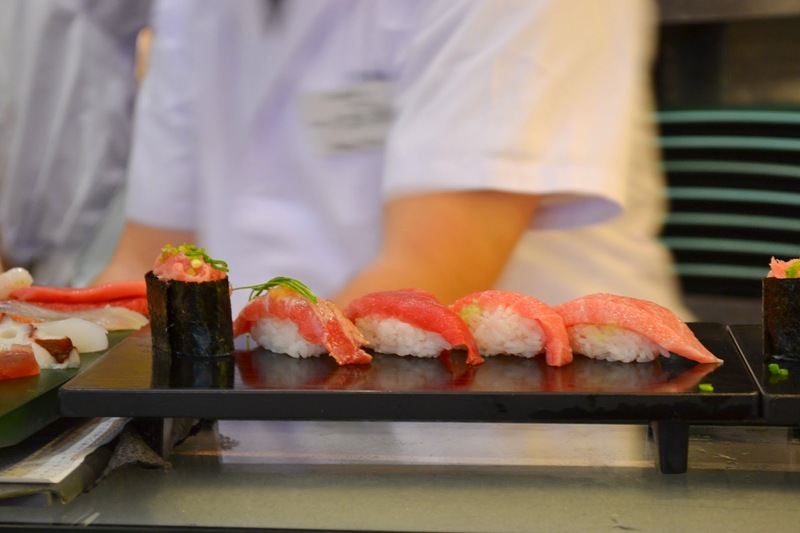 Starting from the left we have the Tuna Gunkan-maki, which is chopped tuna wrapped around by seaweed. Next we have a seared akami sushi followed by the chūtoro and finally the luxurious ōtoro. 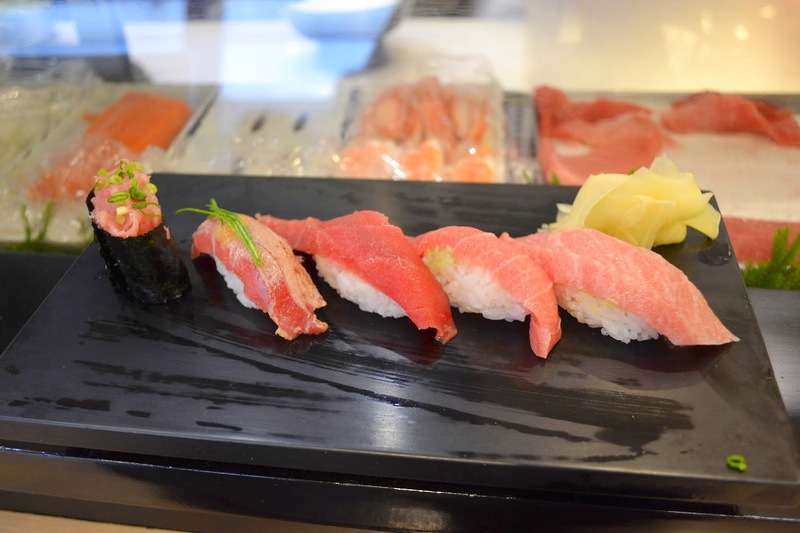 I started with the ōtoro because I couldn’t wait to try this renowned cut of tuna. Now, I’ve eaten a lot of different types of food but nothing, absolutely nothing compares to ōtoro. 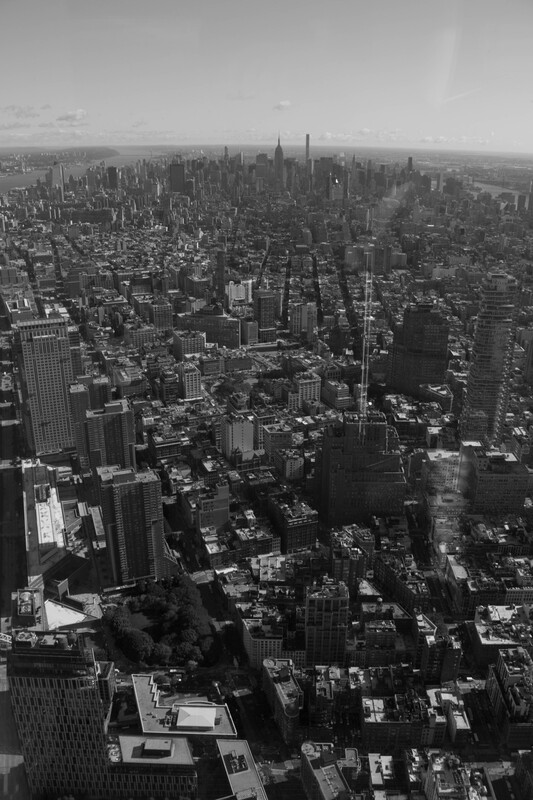 It was MIND BLOWING. When people say the fat melts, it seriously melts like butter. 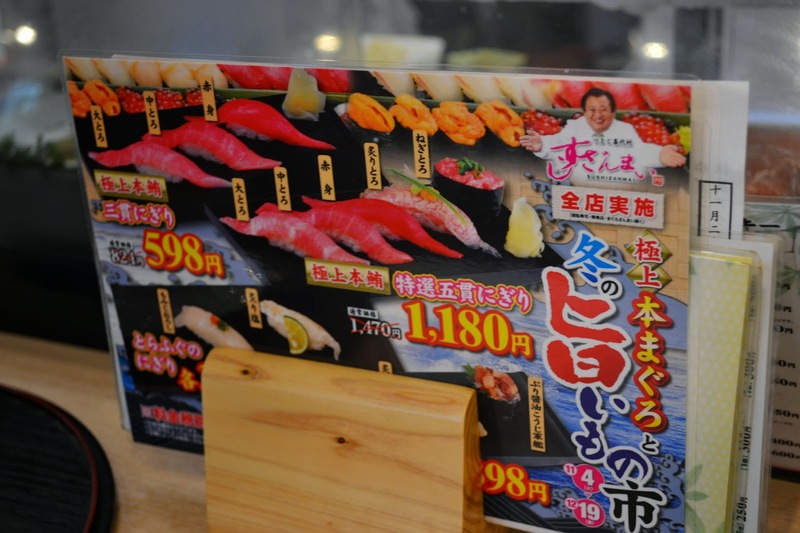 You will never forget the first time you have ōtoro because all other sushi you have from then on pales in comparison. My tongue was dancing from the incredible texture and flavour. After my food-gasm, I moved on to the chūtoro, which was less fatty but still incredibly rich. The next three pieces were all fresh and delicious. While I was busy having an out of the world tuna experience, the sushi chef was diligently making my Kaisen Don. 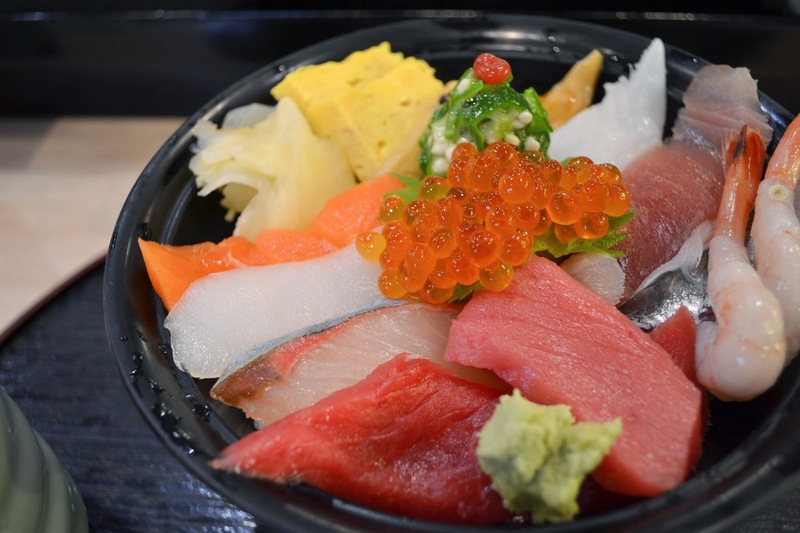 A huge bowl of sushi rice was topped with a dozen different ingredients including tuna, salmon, prawns, eel, kingfish, egg, squid, salmon roe topped by some chopped okra. Every piece of seafood was exceptionally fresh, which meant the dish required no seasoning at all. The Kaisen Don also comes with a huge bowl of miso soup! Have you had ōtoro before? So so good! If only we could get it here in Sydney haha.